Next: What is Tai chi? Welcome! 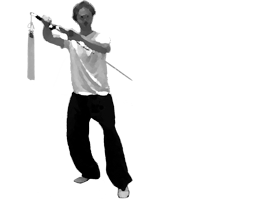 Here you will find information about Winchester and Petersfield Tai chi classes taught by Howard Tripp. Howard teaches Chi Gung and traditional Chen style Tai chi. Tai chi has numerous health benefits as well as applications and techniques for improving posture, balance and even self defence. Regular attendance at class will see students progress through a number of different forms and exercises, gaining a deeper understanding and control of their own bodies, combined with a natural way to relax and allievate stress. 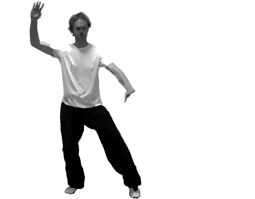 Tai chi beginners classes start regularly in both Winchester and Petersfield and new learners are always very welcome indeed. Tai chi is accessible to people of all ages and fitness levels and requires no special equipment. 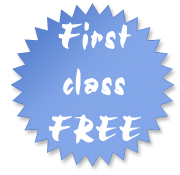 For people totally new to my classes, I offer an introductory free taster session with no obligation. Please just contact me using the form on my website for more information, and I will be delighted to help you. When & Where are tai chi classes? 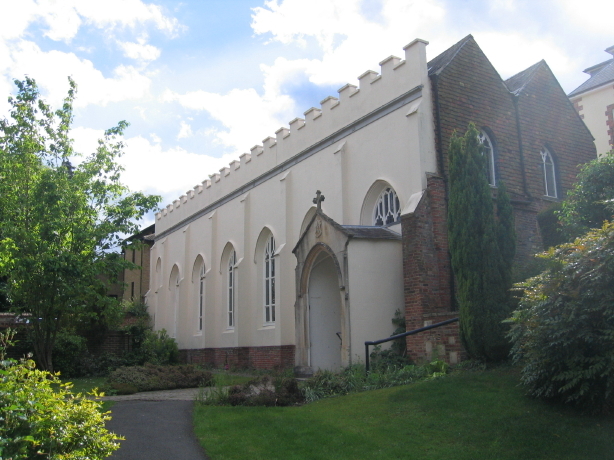 Howard teaches tai chi beginners classes in Petersfield and Winchester (see table above). Experience shows that the it is a more rewarding experience for beginners to join at the same point thereby creating a friendly peer group to learn together. There are therefore a number of start dates throughout the year, where people new to tai chi are encouraged to start. However, if you have some experience of tai chi, it may also be possible to join in the classes outside of these times. Classes cost £7 each and are run as blocks of 10 weeks *. Payment is due in advance on the first week of each new block and can be paid in cash, by cheque or online transfer/standing order. Payement in blocks in advance is designed to foster a sense of commitment and motivation, but of course people occasionally have other things booked in the diary. In these cases, people can let me know the dates of absence at the first class of the block, and I'm happy to reduce the fees pro-rata. 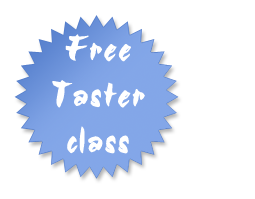 Before running the beginners class there will be an opportunity to attend a free "tai chi taster" class that will follow broadly the same structure as a normal class with a bit of extra introduction. These classes are free and are intended as a "try before you buy" scheme, as for many people this will be their first experience of tai chi. Free taster classes also available to people who have experience of tai chi and are considering joining this class. Please contact me for more specific information as I would be delighted to answer any questions or add you to the mailing list. Tai chi classes require no special equipment or clothing. For your first class it is advisable to wear loose fitting, comfortable clothes, such as T-shirts and tracksuit bottoms, along with trainers or other comfortable shoes. The aim is to ensure that you can bend, stretch and move your body without being restricted by your clothing in any way. Choose comfort over style! It is also a good idea to bring along a small bottle of water. Classes follow a rough format of some general warm-ups and loosening followed by the core foundation exercises (called silk reeling). 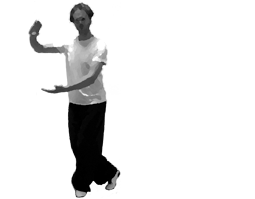 The second half of the class will then move on to learning and practising the tai chi form, starting at the beginning and gradually adding new movements as the classes progress. Finally the class will end with some relaxing and meditative chi gung exercises. Previous: Home Home Next: What is Chen Style? Tai chi is an ancient Chinese martial art and exercise system, thought to have originated in Taoist monasteries on Wudang Mountain, perhaps as long ago as the 12th century. Legend has it that it was originally created as a kind of moving meditation in order to stop the monks wasting away and maintain a basic level of fitness. 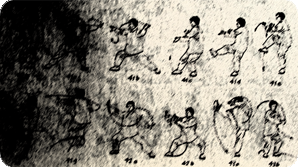 Around the 15th century it was integrated into Chinese kung fu traditions, and became what we know today as tai chi. It has been passed down through the generations relatively unchanged over the last 600 years, until recently as guarded secrets of particular families or clans. 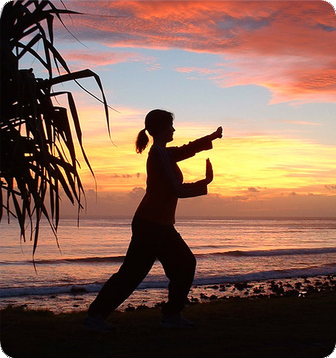 Tai chi benefits both health and fitness, and is generally characterised by slow flowing and graceful movements. It relies on technique, balance and softness. It is suitable for all ages and can be practised martially with a view to its applications for self-defence, or with the focus as a gentle exercise system which promotes health and relaxation. Tai chi is called an internal martial art which means that the attention and intentions of the practitioner is directed inwardly to their own bodies. This is as opposed to external martial arts such as karate where force and awareness is directed externally towards an opponent. True tai chi forms a complete exercise system incorporating stretching, strength training, coordination and muscle tone. Essentially it is a solo practice based around a sequence of movements (called a tai chi hand form) each of which trains a different aspect of movement or part of the body. The beauty of the art is that it has dual benefits of both health and practical applications, from simply improving balance to a complete fighting system. Tai chi training also includes partner work, where the emphasis is on the sensitivity and empathy. Equally there are a large number of weapons forms (swords being the most common). Although these obviously originated out of military needs in ages past, they still serve to train hand eye coordination. Tai chi has been refined and improved over the centuries and is therefore the culmination of a huge amount of intellectual effort. Moreover it was originally a matter of life and death, and so has been extremely well tested with inefficiencies or superfluous components removed. Although tai chi is frequently described in terms of Chinese medicine and philosophy theory, including "chi energy", it is not necessary to understand or accept these definitions to practice. Chinese medicine is not better or worse than Western medicine, it is simply a different perspective. As tai chi has its origins within the Chinese culture, some of the concepts are not immediately apparent to those of us brought up in Western culture. It is important to recognise that this is only a cultural difference, rather than a difference between “science” and “superstition”, a misunderstanding that frequently stops people from trying for themselves. Since the tai chi system of exercise is suitable for people of all ages (being particularly popular with older generations) and requires little or no special equipment, it has gained an enthusiastic reception all over the world. The number of tai chi practitioners worldwide is now phenomenal, and has grown exponentially since the 60s when the "veils of secrecy" first started to be lifted. When performed in a slow and relaxed manner, the tai chi hand form offers a balanced and gentle workout for the body's muscles and joints. The complex yet subtle movements help to develop concentration and a tranquil state of mind. Deep breathing helps to promote greater oxygenation of the blood and improve circulation generally. If practised regularly, tai chi can form the basis for an ideal preventative healthcare regime to enhance longevity and happiness. Previous: What is tai chi? Home Next: What is Chi Gung? Tai chi is split into a number of different "styles" of which there are five major traditional ones (Chen, Yang, Wu, Sun and Wu/Hao). All of the styles have a great deal in common, with the same philosophy and fundamentals, but each have a slightly different emphasis and history. As an analogy, you can think of styles as being similar to denominations (Catholic, Methodist, CoE etc) in Christianity; each one is distinct yet they all share a common set of core principles, and to an external observer, the differences may appear quite subtle. 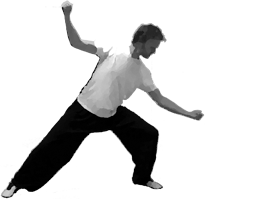 Chen style is the oldest and original style of tai chi, from which all the other styles derive and branched off at various points in history. To this day, the home of Chen style is still "Chen village" in China, who's inhabitants were renowned for their martial arts ability. 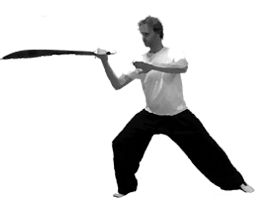 Chen style is the most external of the internal tai chi styles, with many of its movements having much more obvious martial arts application compared to other styles. Chen style is also characterised as being very low and having the most variable speed, i.e. although it is predominantly slow, there are occasional fast "fa-jing" movements. Chen style is itself split into a number of sub styles, with even more subtle distinctions between them. Broadly there are big frame/small frame old-style/new style. 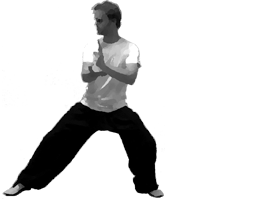 I teach old-style, big frame, which is as close as it is possible to get to "original tai chi". That is not to say that this is the "best" style - each style has strengths and weaknesses and are simply different. In my opinion, Chen style is the most complete style and learning system. This is because there are a number of foundation exercises (called silk reeling) that capture the core principles of the longer tai chi forms. Equally there are a large number of advanced weapons forms, all of which work together and enhance one another as an integrated system. This coherence of progression is the great strength of Chen style. Its weakness is that it can be more physically demanding than the other styles, which may put off people who are primarily interested in relaxation. 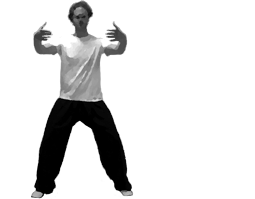 Finally I will reiterate that the differences between the styles are very subtle, and to all intents and purposes are irrelevant for someone completely new to tai chi. In the first few years of learning tai chi your choice of style is insignificant and the skills that you learn will be directly transferable should you choose to switch. Previous: What is Chen Style? Home Next: Who is Howard? Chi gung (also spelt Qigong, Chi Kung and Ch'i Kung) is a powerful system of healing and energy medicine that originated from China. It is the art and science of using breathing techniques, gentle movement, and meditation to cleanse, strengthen, and circulate the energy. Chi gung translates as 'energy/breath exercises' or 'energy/breath work'. 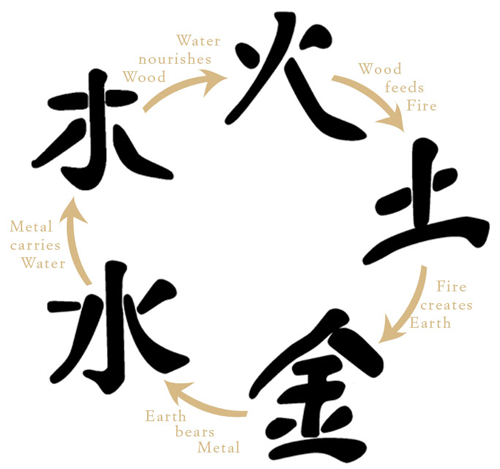 It is a term which encompasses many disciplines developed over thousands of years (documented history goes back approximately 2,500 years) and ranges from systems that consist largely of standing still to dynamic systems including tai chi. The common thread is the objective of developing strength and power of mind and body, without exhausting and straining the body in the process. Chi gung encompasses a large variety of both physical and mental training methods designed to help the body and the mind based on Chinese philosophy. There are many types of chi gung practice, but it can normally be recognized as a series of carefully choreographed movements or gestures that are designed to promote and manipulate the flow of energy within the practitioner’s body. To an external observer, the series of movements are similar to calisthenics or other types of athletic endeavor. To the qigong practitioner, the practice requires a unity of mind, body and spirit with the aim of promoting and controlling the flow of chi. Previous: What is Chi Gung? Home Next: What are the class details? 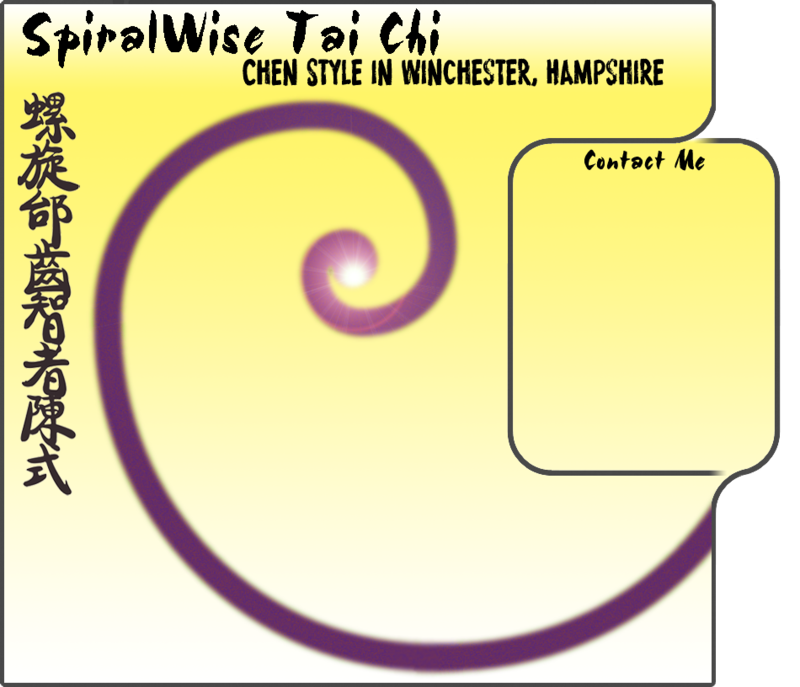 My name is Dr Howard Tripp and I am the founder of SpiralWise Tai Chi based in Winchester. I have been training in tai chi since 1999, and since 2004 under the direct tutorage of Master Wang Hai Jun, who is an official lineage holder of Chen style tai chi (12th Generation). 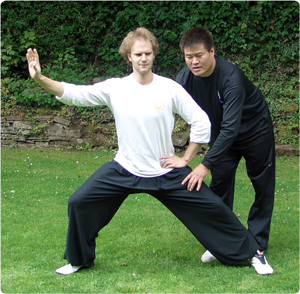 I am a Grade A qualified instructor with the Tai Chi Union of Great Britain, having taught informally as a senior student before that for many years. Teaching an internal art like tai chi is extremely rewarding but the subtlety makes it a challenge. I therefore enjoy continuously trying to improve my effecitvness as a teacher, which of course means trying to better recognise the needs of my students. 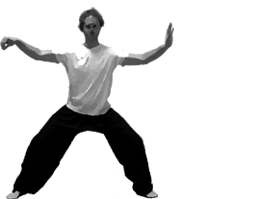 I teach and predominantly train in authentic and traditional chen style tai chi chuan. However over the years I have trained and practised with many other styles and teachers, from whom I have learnt a great deal. Other styles/disciplines that I occasionally incoporate into my teaching include Spiralling chi gung, Gao style Bagua, and Yang style. I also actively pursue a number of other mind/body/wellbeing activities and classes including Yoga, Pilates and Meditation, which I feel all compliment my tai chi practise, and more generally my life! 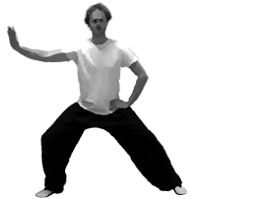 My own personal tai chi blog where I focus on my particular interest of trying to interpret tai chi from a from a scientific perspective. A few of my favourites that I think each bring something different. First in my little list comes Chen Style: The Source of Taijiquan by Davidine Sim and David Gaffney. The tai chi style that I teach is traditional Chen style and as such this book represents what I consider to be the most theoretical explanation from this discipline. What I like about the book is that it concentrates on principles. If you're studying or interested in chen style, and want to understand "why" rather than "how" this is the book to get. 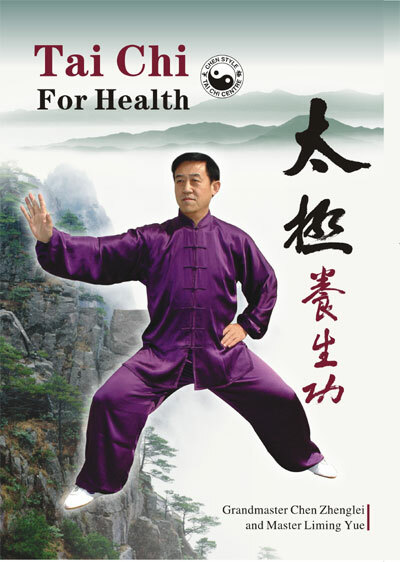 Another chen style tai chi book, this time a "how" book in the form of Tai Chi for Health by Grandmaster Chen Zheng Lei and Master Liming Yue. This book is certainly extremely authoritive as Grandmaster Chen Zheng Lei is the most senior teacher of my style, which alone is enough to recommend it. Essentially it is a highly practical book with detailed explanations and hundreds of pictures detailing how to perform the warm up exercises, silk reeling and 18-movement short form. In essence it covers the "syllabus" of my classes during the first 18 months or so, and so is an excellent study guide and a worthy investment. It should be noted that aside from this core part, the book does have a rather strange structure and content. It appears to have be cobbled together (or rather unnecessarily padded out) with other material which happened to be lying around at the time (e.g. holiday snaps, guest chapters, interview transcripts, and random biographies of students etc). So if you want a reference book for the classes it ceraintly worth getting, just ignore the second half! Third we have Daniel Reid's A Complete Guide to Chi-Gung. This was really the book that motivated me to become a regular and serious practitioner, rather than just going along to the weekly classes as a bit of a hobby. Chi gung is all about breath control, meditation and understanding the body and as such is really the root of all the internal arts. Daniel Reid has produced a well-written and authoritative guide, which I found extremely helpful in understanding the theory behind the techniques I was being taught in classes. If nothing else, this book will open your eyes to the serious intellectual effort that has been devoted to "cultivating the breath" over the centuries. Daniel has done a great job of making the book accessible and inspiring, but it must be noted that he does occasionally step outside of his core area of competence, and makes a few science gaffes, however these can safely be ignored and detract little from the vast majority of the content. 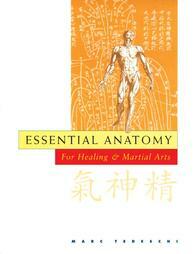 The fourth book in my list is Essential Anatomy: For Healing and Martial Arts by Marc Tedeschi. This is a pure reference book that details every single meridian and Chinese acupuncture point in the body. This book is no doubt found in almost every serious Chinese martial artist, acupuncturist and general healer's book shelf in the Western world. Although I am no healer, and do not really buy into the detail and specifics, I believe there is sound evidence-based rationale behind the development of the meridian model. As such, this book is great to flip through and to implicitly absorb the whole body connections, and how particular exercises stretch different meridian paths. Investigating these things on my own really helped me to feel that my teachers were not just "making it all up" but that these techniques and exercises had been refined, developed and passed down through the ages using a methodical, self consistent reasoning and theory. The next book takes a more autobiographic flavour, with There Are No Secrets: Professor Cheng Man Ch'ing and His T'ai Chi Chuan. Wolfe Lowenthal tells of his personal experience studying under Cheng Man Ch'ing in New York in the 1960s. Cheng Man Ch'ing is really the first Chinese master to begin to seriously spread tai chi in the West. In many ways he is therefore the founder of what some might consider the beginning of the Chinese enlightenment of the West. The book is a deeply personal story filled with insight and core teachings. As the title says, this book really brought home to me how ultimately the internal arts are quite simple. The lessons you are taught on day one of your tai chi class, are the same ones that are taught to advanced students with decades of practice behind them. Unfortunately therefore you can be preached at as much as you can take, but the only way to actually understand, is to experience it yourself - and the only way to experience is to practice. There are no secrets, only dedication (if I do find a short cut I promise to blog about it!). Next comes The Power of Internal Martial Arts and Chi: Combat and Energy Secrets of Ba Gua, Tai chi and Hsing-I by Bruce Frantzis. This book is THE encyclopaedia and a must have. I cannot recommend it enough. Bruce Frantzis has really made the martial arts his life since a very young age, studying and training all across the globe. The book is well structured and filled with personal accounts and stories from his time with a bewildering array of masters. Every term is introduced with a little explanation and is thoroughly indexed. 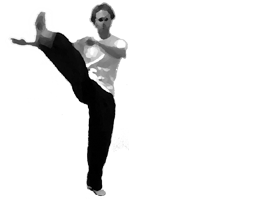 Unlike many of the tai chi and internal arts books out there Bruce Frantzis does not have a particular devotion to a specific style or system, and his explanations and discussions are only enhanced by this multidisciplinary approach. 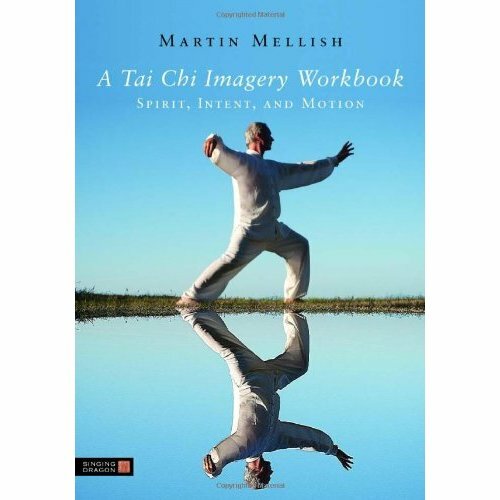 A Tai Chi Imagery Workbook: Spirit, Intent, and Motion by Martin Mellish, is a novel approach to the subject with a book that truly is accessible to Western readers. 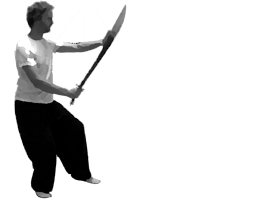 Visualisations and "intent" are core to tai chi. However in order to use the traditional visualisations for practical tai chi benefit, a Westerner needs to understand the historical culture of China 400 years ago - a big barrier for most westerners. 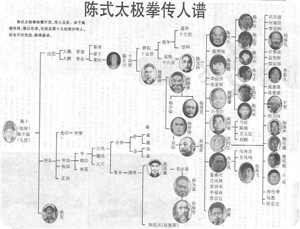 Martin Mellish's book throws off these doctrinal shackles by realising that it is the visualisations that are important not the Chinese cultural understanding (although he modestly and respectfully declines to point this out). The visualisations were originally created from everyday actions so Martin skilfully recasts them using modern everyday Western culture. The power of Martin's book is that he authoritatively collects many of them together as the perfect resource for tai chi practitioners and teachers alike. This book will make you think and I guarantee it will spark at least one mini eureka in everyone who reads it. Wong Keiw Kit's The Complete Book of Tai chi Chuan: A Comprehensive Guide to the Principles and Practice is a book in a similar vein to Bruce Frantzis's (above), but from the traditional Chinese perspective. Wong Kiew kit is also extremely well versed in the subject having been born into the tai chi lineage and immersed in the traditional culture. He writes with authority and in an accessible and friendly style limiting his discussion to the world of tai chi (he has many other books as well). I personally believe that this book provides the reader with a sound grounding in the traditional Chinese tai chi heritage, history, techniques and teachings. I have always found Playwell to be a good online source of specialist clothing and equipment. Many people I know also recommend Tai Chi Link as a reputable website worth browsing. Shoe wise the classic tai chi shoe is by Feiyue who are the market leaders. A large number of people swear by them and they are quite affordable. Their main feature is the curved sole that allows you to grip the ground easily even in low stances. 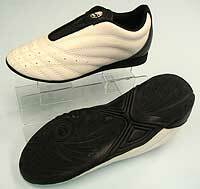 I personally favour the Revolution (also called Mooto) shoe that is actually designed for Tae Kwon Do. This one just happens to suits me, but I wouldn't buy it just on my recommendation and would probably punt for the Feiyue shoe as my first dabble at specific tai chi footwear. My teacher, Master Wang Hai-Jun. By learning with me, you may also subsequently have the opportunity to join Master Wang's monthly seminars directly, should you be interested.